When Igor first asked me to make a film about being on an immersion with him, I was admittedly hesitant. Not only because of my increasingly busy schedule getting my new production company established, but I myself had yet to attend one. He also already had two beautiful films produced for him by the talented Caroline Harrison of The Hive Studios. What was I to add? It was hard to turn the offer down though, given the powerful experience I had from our brief first meeting the year before in Vancouver. While I won’t go into details here, it was clear to me that Igor was a potent spiritual master unlike any other I had met. 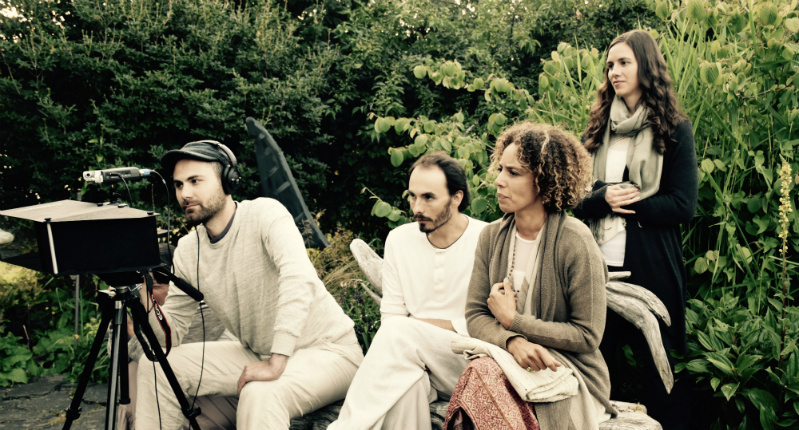 I accepted the invitation to film an immersion on Salt Spring Island, but it wasn’t until we met again just a couple days before the event in Vancouver in June 2016, that I began to understand what this film was to be. Igor, an accomplished artist himself, made it clear that this was not to be a short “smooth” promotional video, but a raw and uncensored documentary about the unique transformational process people undergo on his immersions. The theme of the immersion was “Entering the Heart”, which I resonated with very much from my own exploration of Sufism. Needless to say, I became very excited and we immediately began brainstorming ideas for how we would approach filming to give a more direct taste of the trans-rational nature of what would be occurring for participants. For me, the most interesting aspect of the experience was being a filmmaker and participant simultaneously. I was familiar with the transmission of energy invoking spontaneous releases, or kriyas, from my training in Kripalu Yoga and having had friends undergo Kundalini awakenings, but never collectively and with such power! I was one of the quieter retreatants, therefore I initially found all the noise and vocalizations in the room distracting. Nevertheless the currents of energy I experienced in my body, heightened every time Igor came around gently wafting us with his pure wool shawl, the kind the early Sufis wore, gradually pulled me inward. It was on the third day that Igor asked me to begin filming the unfolding phenomena around us. Going in and out of meditation to film presented its own challenges, but I became more sensitive to what was happening in the room. Even with my eyes closed, I would all of a sudden become aware that something significant was occurring and pick up my camera close by to begin recording. As the immersion progressed, synchronicity between meditators became more evident through their harmonious, and not so harmonious, vocalizations. One person would chant something in some unknown language, and someone else on the other side of the room would respond, neither of them knowing what was coming through them. Similarly, one person would spontaneously go into a headstand, and someone else on the other side of the room, without any prior experience, would soon follow suit. It was absolutely incredible to witness and also be a part of. 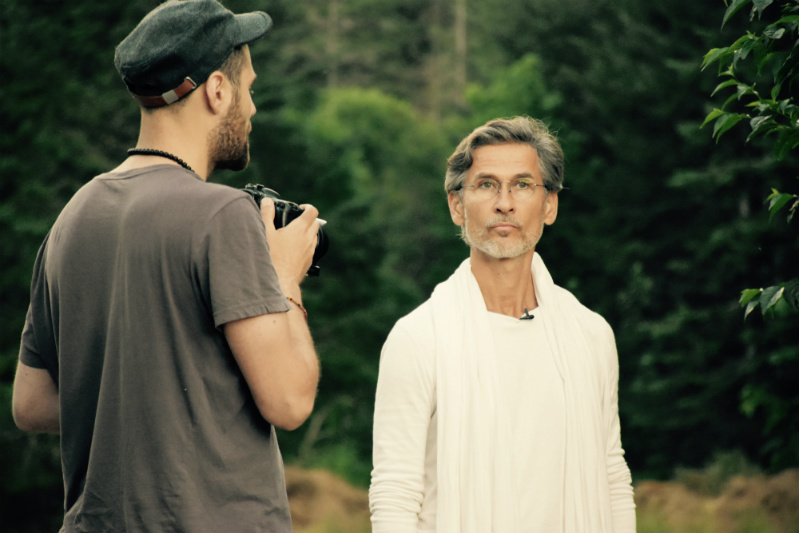 Besides filming the meditations and darshans, where Igor expounded on the theme of the immersion, our venue at Stowel Lake Farm was steeped in gorgeous nature. I took many excursions with my camera into the surroundings that I knew would serve us very well in the editing process. Lindsey, my partner, and I also chose locations enveloped by lush greenery to shoot interviews with retreatants to create a very intimate and refreshing setting. Utilizing the EyeDirect, we had interviewees look straight into the camera lens which further built on the feeling of intimacy and connection with the audience. The diverse group of subjects themselves was a joy to work with and spend time with over several afternoons. With Igor, we made the decision not to interview him and let the retreatants tell the story through their own direct experiences. We asked them a similar set of questions, leaving room for spontaneity, and it was clear that everyone had been profoundly impacted by Igor’s work. By far the most time-consuming process of making any documentary is editing. We had captured roughly 25 hours of material that had to be reduced to what we intended to be a 20-25 minute film. This ended up taking a total of two months, spaced out over 15 months because of my other work commitments. The distance that I had from the material in between revisions helped me to approach it with fresh eyes each time, something not afforded to projects with tight timelines. We did a total of five versions of the film, all of which Igor was deeply involved in. We had long discussions and even disagreements about how to approach certain scenes. His on-point creative instincts and refined sensibilities usually won me over and played a big role in shaping the final film. Because of the desire to preserve a meditative pacing, multiple interviews, and an adequately developed theme through immersion darshans, we finished with a 34-minute film that deeply explores the nature of Igor’s work. The entire process was inspiring for me both as a spiritual aspirant and filmmaker and has no doubt impacted some of my other work. Igor is truly an artist at heart and frequently challenged me to see things in a more nuanced and unpredictable way. Perhaps what was most striking for me though, were my visceral experiences while simply watching the footage during editing. Just watching the material captured during the meditations invoked very similar energetic experiences in me to those that I had when I was there. I’ve heard similar stories from others who have tapped into the force behind this work, some of whom had never even been to an immersion. Ultimately this is what we set out to do — to give people a little taste of the transformative experience of being on an immersion with Igor, and perhaps inspire those who have been touched to take the leap and dive in.